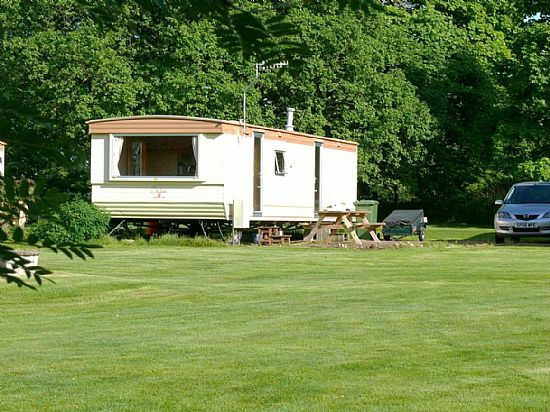 We have three caravans available to holiday makers. These are "Orrin" (35' sleeping 1-3 persons), and "Conon 1" and "Conon 2"; two almost identical caravans each 36' and sleeping up to 6 persons. Druimorrin is the ideal base to take in the best of what the Highlands have to offer, whatever your interests - bird watching, fishing, hill walking or rambling, dolphin trips, golf, pony trekking, estate walks, heritage, driving, quad biking, crafts, eating out, sightseeing and souvenir hunting, whisky distillery tours, are all within easy reach, some on our doorstep, some within half an hour or so's drive. If you have not visited the area before, you can find us on the map, some 20 miles North West of Inverness, just outside the village of Muir of Ord. We are right on what was the main road to the western Highlands. Nowadays the road is much quieter, but it makes for easy access to some of the most spectacular scenery in Britain. Druimorrin itself is in a rural location, with fields on two sides, looking out onto craggy hills and neighbouring the Orrin River. Nearby woods are full of wildlife and local birds of prey are seen on a daily basis. Many previous holiday makers have commented on how peaceful and tranquil it is here; such a relief from the hectic pace of the working week. The business is a small, family-run concern and we like to make sure that our guests feel welcome and well looked after. We are always very happy to help make your holiday as enjoyable as possible, from advising on possible day trips you might like to make or where to eat out to chatting about local stories of the supernatural.